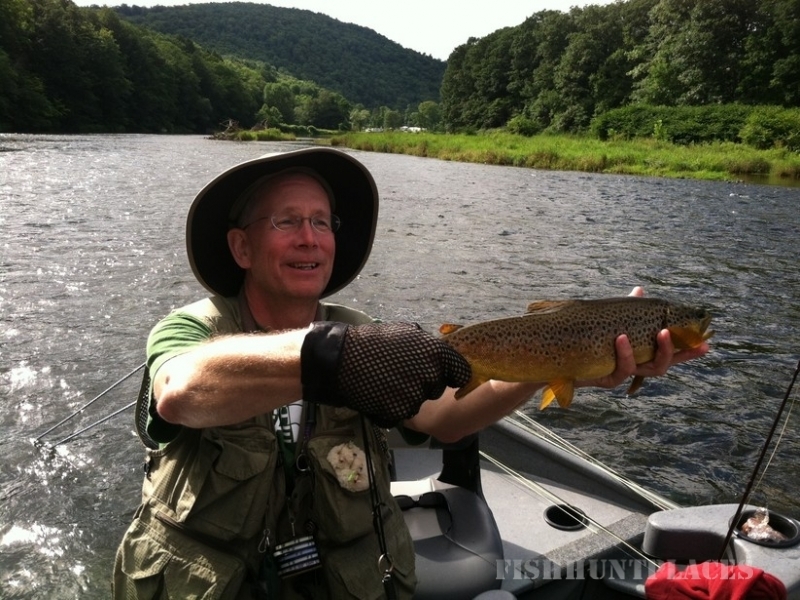 The Upper Delaware River and its watershed encompasses some of the finest wild trout water, diverse bug hatches, and Smallmouth Bass habitat in the Eastern United States just scant hours from North Jersey, New York City, Philadelphia or Boston. Whether you are a seasoned fly fisherman or a novice, you owe it to yourself to experience what many have called America's classic fly fishery. 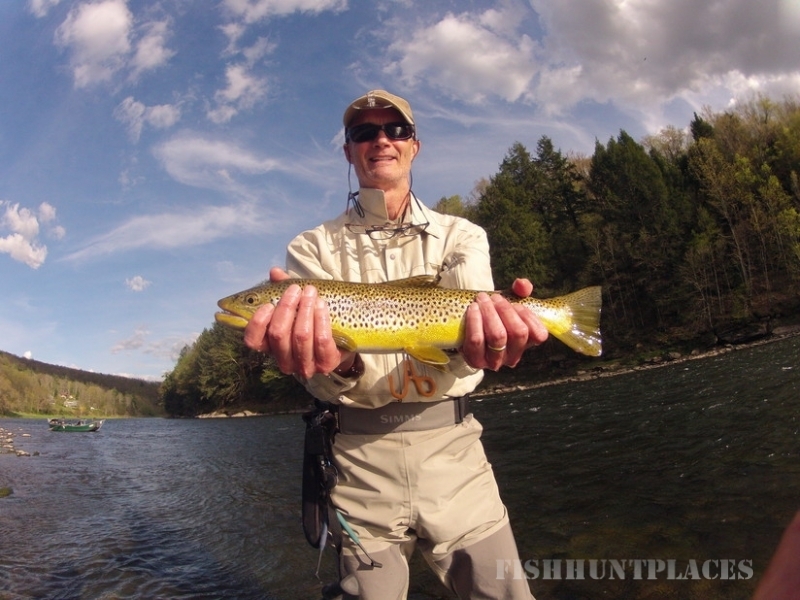 Come and enjoy a real fly fishing adventure, fishing for trophy wild trout where fish average 14" - 16" and fish 20" and larger are not uncommon. As an Upper Delaware river fly fishing guide, established in 1999 - licensed and permitted by New York, Pennsylvania and the Upper Delaware River National Park Service, Wayne Aldridge can lead you on a guided catch & release fly fishing adventure in search of wild brown and rainbow trout on the East Branch, the West Branch or the Main Stem of the Upper Delaware River in addition to the fabled waters of Beaverkill, Willowemoc and Neversink rivers. Our guide service offers fly fishing and spey casting instruction, float trips, combination float /wade trips or just strictly wade trips depending on preference, location or water flows. Fly Fishing the West Branch of the Delaware River near Deposit, NY is a season long option due to its ever present cold water. With our location being based right on the river we have instant access to some of the best wild trout fishing around. The West Branch is a favorite among many seeking big wild brown trout due to this cold water, resulting in excellent hatches as well as good healthy habitat for the trout. 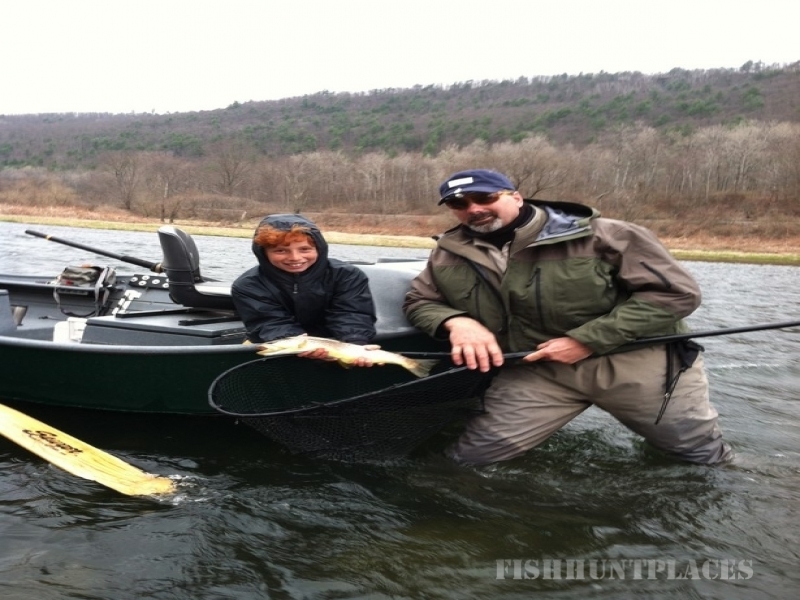 In the spring, early summer and fall, the East Branch and the Main stem of the Upper Delaware River can provide approximately 60 more miles of float-able wild rainbow and wild brown trout habitat. They too produce excellent bug hatches and giant fish to go with it and can be described as classic big water dry fly fishing rivers. 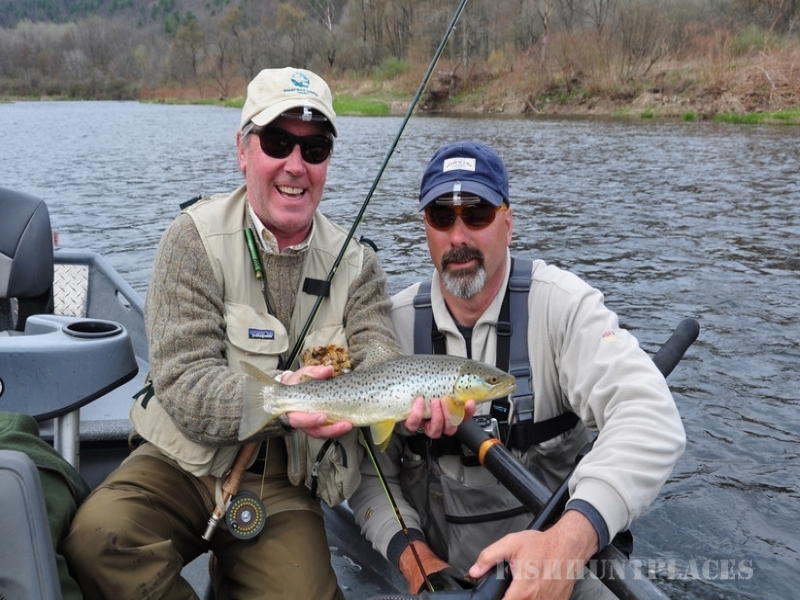 Come see for yourself the wonders of this magnificent area and indulge in the some of the best guided Fly Fishing in the East .... 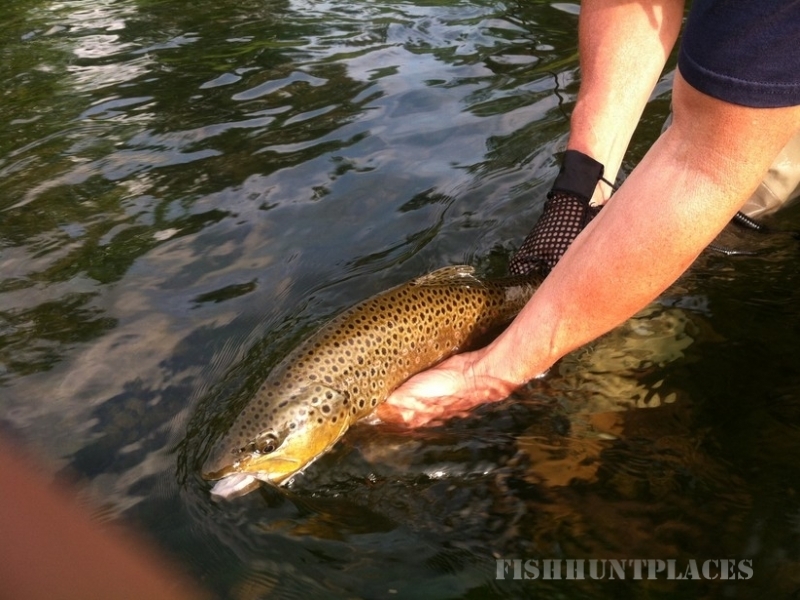 Fly fish the Delaware!! !